Bartolomeo is using Smore newsletters to spread the word online. Extraction is the harvesting of raw materials such as ore, crude oil, and lumber from mines, wells, forests, etc. Production is the synthesis of these raw materials into marketable products. Distribution is the shipment of these products to stores and their sale to consumers. Consumption is the use of these products by consumers, and disposal is when they are thrown out. One problem with this cycle is that it is largely one-way. "Recycling" is not one of the five stages of material economy, so most resources are essentially "used up" whenever they are consumed. This is not good, as we live on a planet with a finite number of resources. Chemically speaking, it takes a long time for garbage thrown into incinerators or dumped into landfills to decompose and form new raw materials again through natural cycles. The United States holds 5% of the world's population, but uses 30% of its resources. It is therefore conceivable that, if the free market remains unchecked by environmental regulations or responsible consumption habits, the resources of an entire planet could be "used up" as the world becomes increasingly industrialized. The United States, as of July 18th, 2013, had a national debt of over $16.86 trillion. That's a lot of debt. The total debt of all private citizens in the United States, at the same time the previous number was recorded, was estimated to be over $15.85 trillion. Evidently, America's problem with debt is not simply limited to the public sphere, and private indebtedness in fact rivals public indebtedness. 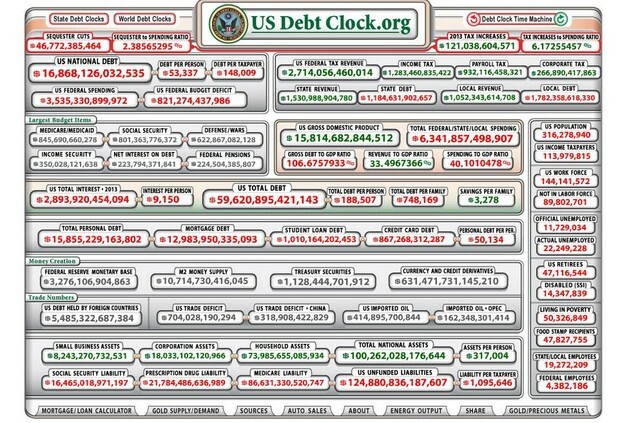 The US Total Debt, with all unfunded liabilities included, is over $59.62 trillion. That's more than three times the number that gets quoted during a typical news broadcast (the "national debt"). The US Total Debt, including unfunded liabilities, is currently over 106.67% of the year's GDP. This number is comparable to the debt-to-GDP ratio America took on during World War II. The only problem is, this kind of debt is unprecedented during a time of (relative) peace. The US National Debt per capita is currently $53,337. Though still intimidating, this number is at least fathomable. However, the US Total Debt per capita is currently $188,507. When one considers that this "per capita" measure accounts for children and infants, and not just income-earners, this number approaches the absurd. But it's not just absurd; it's real. And the prospect is frightening. 1. Private Property: The right of individuals to own private property is guaranteed in the constitution. Without ownership, an exchange of goods, and therefore a free market, would not be possible. 2. Specialization: This is the process through which individuals voluntarily decide to produce only one or a few products, or perhaps only a few parts of a product, in order to hone their ability to make them and therefore make a business out of trading them. 3. Voluntary Exchange: This is the process through which specialized producers trade goods among one another. 4. The Price System: Through the use of currency and the trust that we place in it, inherently unlike goods are able to be traded efficiently. A green piece of paper with a picture of George Washington on it does not have much literal, material value. But because the citizens of the United States have all agreed to use it to trade, it becomes a precious commodity in our lives and a major source of stress. Despite money often being called "the root of all evil", however, using it is a lot more efficient than bartering. And through the use of currency, the value goods as diverse as an ounce of gold, a share in apple, and a McDonald's hamburger can all be compared to one another and can all flow freely through the modern marketplace. 5. Market Competition: This is the natural competition between buyers and between sellers of goods and products. Because there are only a finite number of computers made by Apple, for example, the product has value, and people stampede all over each other on Black Friday to buy them. If there were no competition, or no people wanting to buy the product, then Apple wouldn't be able to turn a profit, and the business wouldn't be happy. On the other hand, Apple must also compete with other producers such as Microsoft in order to offer a desirable product. If Apple were the only computer industry ever made and thus had a worldwide monopoly, then they could continue to make terrible computers without any worry about competition. Computer users would then be forced to buy these computers due to the lack of other options, and so the customers wouldn't be happy. Thus, for both consumer and producer, competition is a vital part of the free market system. 6. Entrepreneurship: This is the force that drives businesses to compete with each other despite all of that crazy competition that we talked about. Because the government has a limited involvement in their affairs, and because they have a right to private property and thus to earn profits from their company, business leaders are driven to adapt to changing forces in the marketplace without being forced to by public legislation. Thus, the ability to make a profit, and the fact that they will still be able to keep the majority of that profit after taxes, drives entrepreneurs to do what they do and push the economy forward. 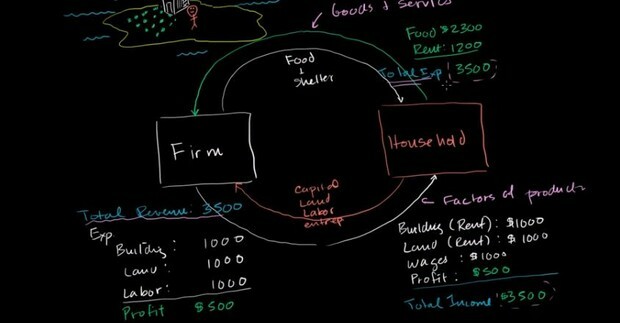 Above is a diagram illustrating the concept of circular flow in an absolutely ideal, absolutely simplified economy involving a household of one man who employs himself in a business on an otherwise deserted island. Through this equality can be observed a sort of redundancy in the economy. That is, the income of all employers, is equal to the income of all employees, is equal to the expenditures of all customers. Either one of these three measures may be used to quantify the GDP (gross domestic product) of an area, whether it be a developed country such as the United States or a deserted island with one inhabitant. The flow of consumers' money to businesses, in this case represented by the household buying services from the firm. The flow of goods to consumers in exchange for their money, in this case represented by the household buying food and shelter from the firm. The flow of income to employees, in this case represented by the household being compensated for providing raw materials to the firm. The flow of raw materials to businesses in exchange for income, in this case represented by the household selling rent, food, and labor to the firm. Price elasticity is an economic measure applied to a business that sells a product. It measures how much consumers change their spending habits in response to a change in the price of a product. If e is less than 1, then economists say that the demand for the product is inelastic. If e is greater than 1, then economists say that demand is elastic. For example, if increasing the cost of lemonade at my lemonade stand by 20% causes me to sell only 10% less lemonade, then e = 1/2, and demand for lemonade is inelastic. This is important for me as a lemonade entrepreneur because it means that I have made a greater profit by increasing my prices. However, if increasing the cost of psychiatric help at my psychiatric stand (another business of mine) by 20% causes me to take in 40% less patients, then e = 2, and demand is elastic. This is also very important for me, because it means that I have made less of a profit on psychiatric services by increasing my prices. The study of price elasticity under various conditions is a very important part of scholarly economics. It is also an extremely useful number for small business owners. If demand is elastic under a given set of conditions, then they will lose money by increasing their prices. But if demand is inelastic, then they can gain money by increasing their prices. 1. A sole proprietorship. This type of business is owned completely by one individual. A sole proprietor has more or less complete control over the affairs of their company. However, if a person were to win a civil lawsuit against this business, then all liabilities would have to be paid by this one owner. 2. A partnership. In a partnership, two or more people agree to co-own a business. The affairs and liabilities of this business are split between these individuals. 3. A Limited Liability Company (LLC). A limited liability corporation is a relatively new idea which was made an official part of United States business law on a state-by-state basis beginning in the 1970's. An LLC is run much like a partnership, except it has several additional protections against liabilities and debts which are incurred by the company. These protections were made to be similar to those of corporations, which will be discussed next. 4. Corporations. 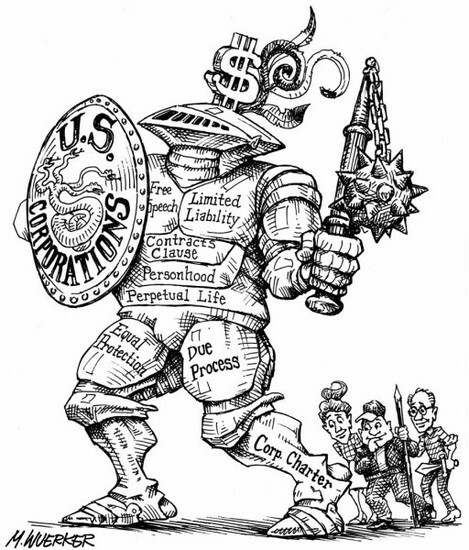 Corporations are a strange contrivance of law. No single person owns a corporation; they are owned instead run by a variety of shareholders. If stock in a corporation is publicly traded, then thousands of people may all "own" part of the company. The shareholders collectively elect individuals to sit on a board of directors, which handles the administrative duties of the company. Corporations are technically "people" and are capable of filing lawsuits as well as incurring liabilities as independent entities. As such, if a corporation is sued, no single person has to foot the bill, but the expense is covered administratively and handled by the board of directors of a company. Inflation may be categorized according to 6 major sets of criteria, which may each be further broken down into various subcategories. Comprehensive inflation is when the prices of all goods throughout an economy rise. Sporadic inflation, on the other hand, is when prices of only a few goods or of goods in only a few areas rise. War-time inflation takes place during wars, often due to a scarcity of resources and the necessary rationing that ensues. In response, price controls may be enforced by the government to keep prices down. However, when these price controls are relaxed, this leads to post-war inflation, in which the prices of commodities rise rapidly as companies wish to gain back previous profits once tight regulations have ceased. Peace-time inflation occurs without war, and is often due to exorbitant government spending. Open inflation is when the government does not attempt to stop inflation and instead lets free market forces act uninterrupted. Suppressed inflation is when the government uses price controls or rationing to artificially combat inflation. 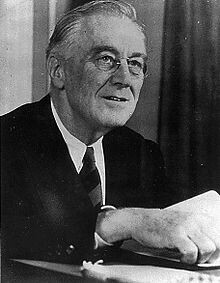 Franklin Delano Roosevelt, one of America's more notorious presidents, did this during World War II. Suppressed inflation may also be called repressed reflation, due to the fact that it will most likely begin again once government controls are removed. Creeping inflation, also called mild inflation or just low inflation, is when prices rise no more than 3% per year. Creeping inflation which persists for a long period of time is called chronic inflation or secular inflation. When chronic inflation comes at intervals, it is called intermittent inflation. When chronic inflation is uninterrupted, it is called continuous inflation. Moderate inflation is when prices rise by more than 3% but less than 10% per year. Running inflation is generally when prices rise between 10% and 20% per year. Galloping inflation occurs when prices rise between 20% and %1000 per year. Hyperinflation is when price increases exceed 1000% per year; at this point, the value of a currency may often be reduced to almost zero. Deficit inflation takes place due to deficit financing (i.e. when the government prints money to pay off its debts). Credit inflation takes place when there is excessive bank credit in the economy. Scarcity inflation occurs due to the hoarding of in-demand goods by unscrupulous merchants. That is, by holding on to needed goods longer, demand is artificially raised, raising prices when they are eventually sold. When entrepreneurs generally manage to increase their profit margins, prices rise, and the result is called profit inflation. Pricing power inflation, or administered price inflation, occurs when producers raise the products of their prices with the goal of raising profits. Because oligopolies (almost-monopolies of only a few manufacturers) are often able to pull this off, it may also be called oligopolistic inflation. Tax inflation occurs due to rises in indirect taxes, which cause merchants to charge higher prices. Wage inflation is caused by a rise in wages which is not accompanied by a rise in material output. Build-in inflation is caused by a vicious cycle in which employers raise employee salaries in anticipation of future inflation. This only increases the amount of currency flowing through the economy, and so only amplifies the effects of inflation. Development inflation occurs as an economy develops (i.e. becomes more industrialized) and wages rise. 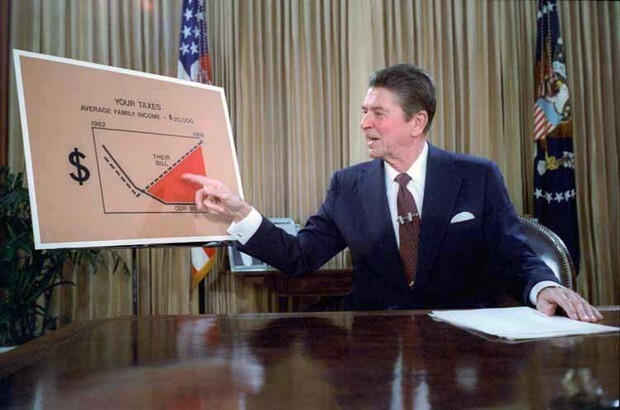 Fiscal inflation occurs to excessive spending by the government. Population inflation is caused by a rapid increase in the population of an area. Foreign trade induced inflation is further divided into two subcategories. A dramatic increase in exports may cause a shortage in the exporting country; the resulting increase in demand, and concomitant increase in prices, may lead to export-boom inflation. If inflation occurs in other countries, and goods or materials are imported from these countries, then the price of these goods will increase in the country they are imported to. This is called import price-hike inflation. Sectoral inflation is when the prices of goods or services produced by a certain sector of the economic world increase. This may also have a rippling effect, in which related sectors which rely on these goods increase their prices to cover the expense. For example, if the price of oil increases, then the price of petroleum-based products will increase, as this is part of the industrial sector related to oil. However, there will also be a rippling effect as businesses involved in other sectors such as shipping companies, airlines, cruise ship agencies, etc., all raise their prices to cover the increased cost of oil. When various factors such as rising income or increasing population dramatically increase the demand for a product, without an increase in supply to match it, the price of the in-demand food or service will increase. This is known as demand-pull inflation or excess demand inflation. When the prices of a good increases because the cost of producing it increases, this is called cost-push inflation. In a manner strikingly redolent of Reaganomics, this phenomenon may also be called supply-side inflation. If the rate of inflation matches what people expect or what economists predict it to be, then it is called anticipated inflation. It may also be called expected inflation. If the rate of inflation does not match up with what the majority of people or economists are predicting, then it is called unanticipated inflation or unexpected inflation. 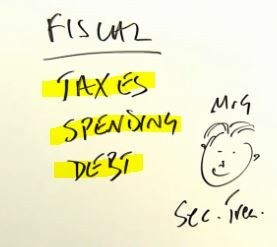 Fiscal policy is the use of taxes, spending, and public debt to control the state of the economy. It is headed up by the executive branch and managed by the Secretary Treasury of the United States. 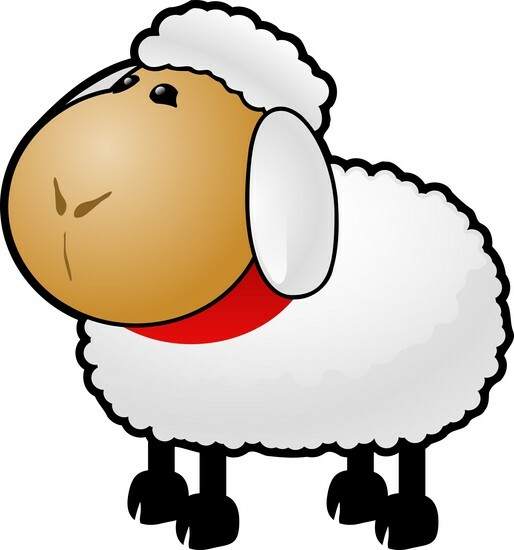 Monetary policy is run by the Federal Reserve, also colloquially known as the Fed. The Fed is technically an independent entity and not quite part of the executive branch. The Fed impacts the economy through its relationship with banks. The Fed sets the Federal Funds Interest Rate, the rate at which banks can lend money overnight to each other through the Federal Reserve. By lowering this interest rate, the Fed can stimulate growth. By increasing this interest rate, the Fed can counteract inflation. The Fed may also engage in "open market operations", in which debt is essentially bought off of banks. This allows these banks to make more loans, stimulating the flow of credit through the economy. The Fed also controls the "discount window", the rate at which banks can borrow money from the Federal Reserve with secured loans. Another major instrument of monetary policy is how the Fed sets the percentage of money from a bank's account holders which must be physically deposited in its vaults. (This money can either be stashed at the bank itself, allowing for more dramatic and cinema-esque bank-robbing scenarios, or held at the nearest federal reserve bank.) Increasing this holding requirement makes the deposits of account holders more secure, but decreasing this requirement accelerates the flow of credit through the economy by allowing banks to lend out more of their deposited funds. 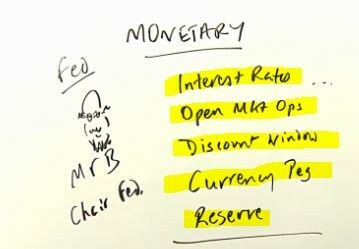 The Fed may also engage in quantitative easing and signaling (not shown on whiteboard). During quantitative easing, the interest rate for banks is set at zero and the Fed buys debt from these banks. (This is eventually compensated for by having the U.S. Mint, technically not part of the Fed, print more money.) During signaling, the Fed declares that the interest rate will stay at a certain rate for a given window of time to increase investor and banker confidence. Both of these last two mechanisms are currently being used; not only is the Fed buying up debt, but it has also signaled that the interest rate for banks will stay low for the coming years. During the nineteenth century, the primary obstacle for international trade and mutual prosperity were inchoate navigation and communication technologies. During the first half of the twentieth century, the primary obstacles were anthropogenic: first, the high tariffs and devaluation of currency practiced by most individual countries in their self-defeating attempts to save themselves during the Great Depression, and later the diplomatic turmoil of World War II. However, the primary remaining obstacle for international trade in the twenty-first century is what my fellow academic Anne O. Krueger calls "economic nationalism". That is, with the advent of highways and modern sea vessels and commercial airliners, and of cellular phones and the internet, our navigation and communication technologies are nearly unfathomably more advanced than our predecessors. However, one obstacle remains: our own attitudes and our own policies. Many United States citizens maintain a somewhat parochial attitude towards international trade, especially when they speak of things such as outsourced workers who "take their jobs". However, in the long term, and with fair cooperation, international trade works for the benefit of everyone who is properly involved. There is a striking exception to this rule: in the modern world, there remain many undeveloped and third-world countries with a standard living just as low, if not lower, than that which they had in previous centuries. It remains true that citizens living under a corrupt government will never be able to join in this prosperous, mutually beneficial trade at all, or at least will never be able to reap its benefits. For this reason, economic cooperation cannot improve, cannot solve everything. Much of the worlds problems still lie deeply embedded in our politics and in our human nature. "The advance of industry, whose involuntary promoter is the bourgeoisie, replaces the isolation of the labourers, due to competition, by the revolutionary combination, due to association. The development of Modern Industry, therefore, cuts from under its feet the very foundation on which the bourgeoisie produces and appropriates products. What the bourgeoisie therefore produces, above all, are its own grave-diggers. 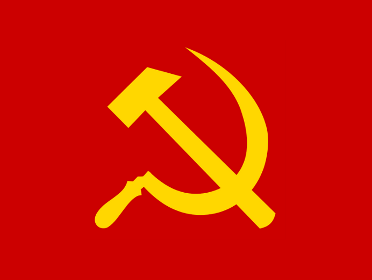 Its fall and the victory of the proletariat are equally inevitable." Courtesy of Marx & Engels, Manifesto of the Communist Party, 1848.